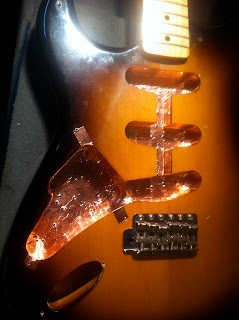 I've been shielding a lot of guitars lately. 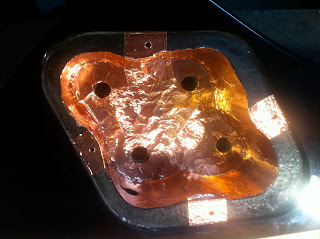 Maybe there's more noisy mojo in the air in 2012? Whatever the reason, here's some photos of a BC Rich Bass and Tokai Strat copy getting the silent treatment. 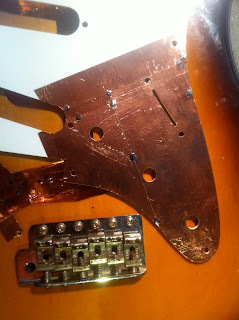 The pickup cavities are lined, and wired to the main ground point. 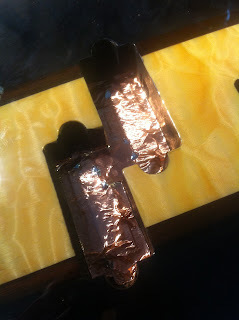 The control cavity is also lined, with copper tabs over the cover plate screw points. 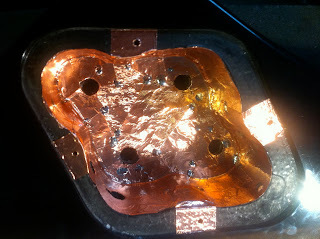 Same, but different; I've added solder connections to link each piece of copper. 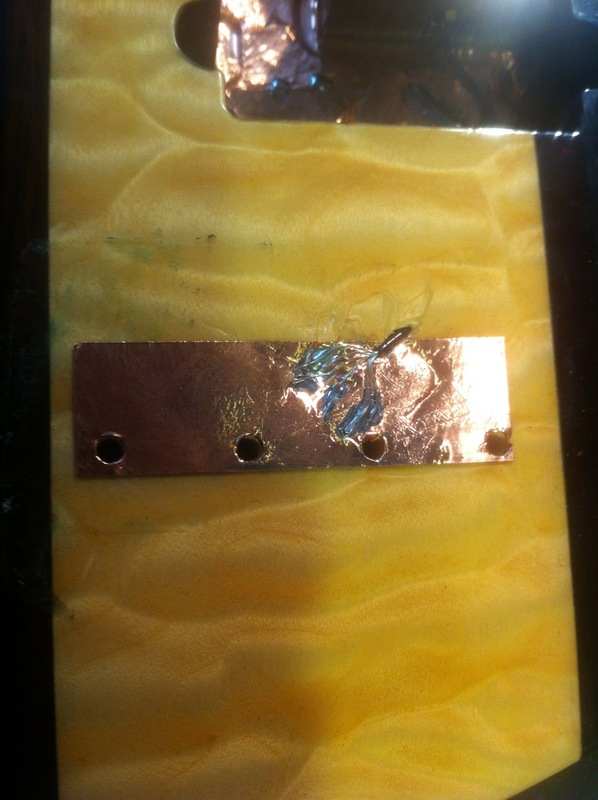 I also like to solder the bridge ground wire to a strip of copper for a guaranteed connection. 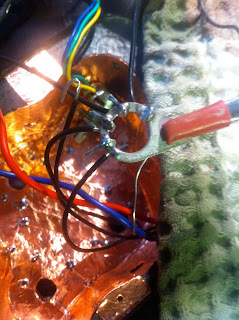 Each ground wire goes to a central solder lug screwed into the cavity wall, and then to output ground. I also shielded the control cavity section of the scratchplate. 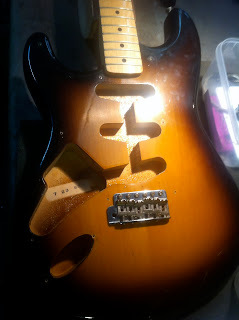 I could have covered the whole thing, but the Bartolini pickups this guitar was getting are internally shielded and very quiet. The control cavity was the main culprit for noise. 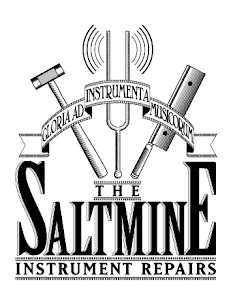 Shielding is often a very effective means of reducing RFI and EMI noise being picked up by a guitar or bass. Single coil hum is a separate issue, although there are ways of reducing and eliminating this as well.